Today, a parliamentary majority voted in favour of sending both ground and air forces to fight Islamic State in Syria and Iraq after a five-hour long session. 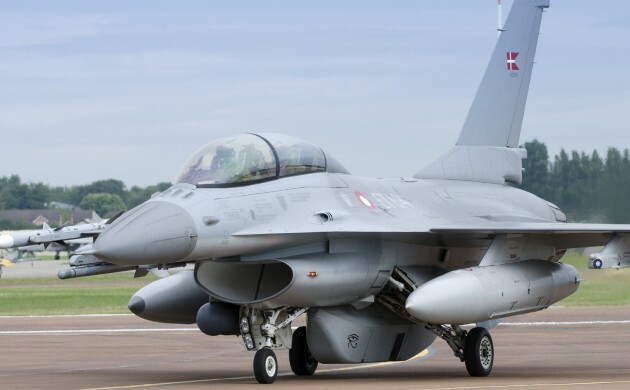 In joining the US-led international coalition, Denmark will send F16 fighter jets, special forces and a C-130J transport aircraft carrying 400 Danish soldiers to Syria. The coalition aims to fight on the side of “various armed Syrian groups” collectively known as the Syrian Democratic Forces, according to the defence minister, Peter Christensen. He declined to provide more details about the groups, citing security concerns. The parties in favour of sending troops were Dansk Folkeparti, Socialdemokraterne, Konservative and Radikale. Enhedslisten and Alternativet expressed concerns. “We will be more than happy to help combat IS. But we will not do it by throwing bombs at the risk of hitting civilians and increasing support for extremists,” said Nikolaj Villumsen, Enhedslisten’s foreign affairs spokesman. The foreign minister, Kristen Jensen, acknowledged during the session that the decision to send troops to Syria and Iraq was a difficult one – but maintained that Denmark needed to support the international coalition. “There is now a need for Denmark to reaffirm and strengthen its support for the international coalition’s efforts and we want to assume those responsibilities,” he said. – Denmark plans to send 400 soldiers, including up to 60 from the special forces, to Syria and Iraq. Initially, they will be deployed in Iraq, where they will train and support select Iraqi forces. – The air forces sent will consist of four out of seven operational F16 fighter jets. The other three will be kept on reserve. The air forces will be used for offensive attacks as well as to monitor and gather information. – A C-130J transport aircraft will also be deployed for up to six month and will be used to drop supplies to ground troops and aid to civilians, reports Reuters.